Location, location, easy access to Lougheed Hwy., Barnet Hwy. & WC Express. Close to shopping & rec centre. 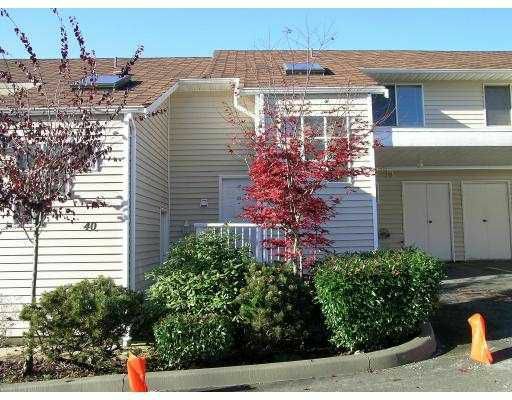 Don't miss this clean well maintained 2 bdrm, 2 bath townhouse. Nice big master bdrm w/ 4 pce semi-ensuite & a large sitting area. Good sized kids room plus a small alcove upstairs, ideal computer station. Nice bright kitchen with atrium-style eating area and laundry/storage room off the kitchen w/ newer washer & dryer. Nice big living room with gas F/P & slider to patio & private backyard. 4 x 5 storage room in front of carport.